When designing a website, it is important to make informed decisions about each design element in order to optimize the site for search engine rankings. Many of your visitors are likely to come from search engines and it is therefore important to design your website with optimum search engine infrastructure in place. It is critical that you include relevant and unique keywords directly in the content of your website. A well written page header title, description and keywords helps search engine crawlers understand what the page material is about and helps differentiate one page from another. 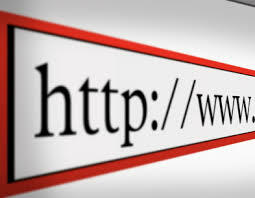 Be sure to include your keywords in your domain name, title tags and headings. Spiders love to crawl these areas! What this means is that from a search engine perspective, a url with businessintelligence.me (without www) and www.businessintelligence.me (including www) are considered different pages in search engines. For search engines every page is different and having identical content for www.businessintelligence.me and businessintelligence.me is like having two website addresses with the same content. Creating 301 redirection or permanent redirection from www.businessintelligence.me to businessintelligence.me (or vice versa) will avoid the issue of having two urls with the same content. Creating a redirection is also likely to boost the PageRank concentration of your homepage. In the past, the layout of most websites were accomplished using HTML tables. Today however, progressive websites are developed using CSS. CSS produces cleaner code and helps search engine crawlers to easily find and reach the main content of a webpage. Another benefit of CSS pages is website loading time, since the files sizes are smaller, the page loads faster than a table based design. Site maps help search engines index your site. Search engines use the information contained within a site map to know how fresh your content is, how frequently you update the site and which areas are especially relevant. Creating a sitemap will help search engines keep their index database fresh and it is easier for their crawler to follow links from a XML sitemap as all links are in one simple file. Web users often use search engines to find images and graphics. Optimizing your website for image search will add value in terms of search engines traffic and increase visitors to your site. The practice of using alt and titles in image tags is another way to further optimize your site. It not only provides accessibility, but helps search engines add a description to the image displayed. Doing A/B or Multivariate testing to optimize your site used to require some in-house programming expertise or expensive 3rd party software. Thankfully, Google has provided us with a free alternative. Web forms are an exchange of information and value. If people must spend time filling out an online form, you should offer something in return. Limit the form to only what is absolutely necessary. If your checkout process includes several steps, include a visible and prominent progress indicator. Include visible point of action assurances like security logos and privacy statements near to your call to action. Your visitors are likely to make errors filling out your forms, so instead of flashing red error messages, write friendly and useful copy that actually helps them fill out the form. For Things To Avoid in a Search Engine Friendly Site click here.